Many of us are familiar with the phrase “he said, she said.” This can often refer to a case in family court. Sometimes, an auto accident case can present a similar situation, when there isn’t much evidence, and the testimony of the drivers involved paint two very different pictures. Many times, this type of situation may be challenging for an injured plaintiff to win. That is not always the case, though, if the facts of the case indicate that the injured driver is entitled to the benefit of something called a legal “presumption.” Using various legal concepts like presumptions can be an important part of a successful case. For more information about your case and which presumptions might help you succeed, reach out to a knowledgeable Louisiana truck accident attorney. Read more about Louisiana personal injury truck accidents. When you are injured in an commercial truck accident in Louisiana, it is extremely important to retain experienced Louisiana truck accident counsel right away, and to pursue your case in a timely and persuasive manner. It is essential to make sure you’ve put your “best foot forward” when you go to trial because, win or lose, it is generally hard to get most trial court verdicts overturned on appeal. One recent case highlights this, with the Louisiana Court of Appeal expressly noting that the plaintiff’s award was “on the high side,” but it was still required to be upheld and enforced. Read more on Louisiana personal injury truck accident law. Any type of injury case can involve multiple steps (or multiple parties) toward obtaining your successful outcome. There can be motions to compel discovery, motions for default judgment, motions for summary judgment, motions to amend, and many more techniques. All of this may sound very technical, but what it’s meant to show is that, to give yourself the best chance of getting the fullest recovery in your case, it pays to retain experienced New Orleans truck accident attorneys who are knowledgeable in these strategies and more. An example of this type of case was a straightforward rear-end accident with a truck that still required many types of legal procedural steps. The litigation began when two dump trucks collided in Belle Chasse. Specifically, Michael’s truck rear-ended Carlos’ truck while both drivers were waiting to unload their loads. Michael’s employer’s auto insurance company paid Carlos $8,700 for the damage done to his dump truck by the accident. Many times, fatal accidents that involve commercial trucks are of the tractor-trailer-versus-passenger-vehicle variety, but not always. Accidents that occur as a result of negligence committed by trucking companies and truck drivers can sometimes place other truckers in great, and even fatal, peril. 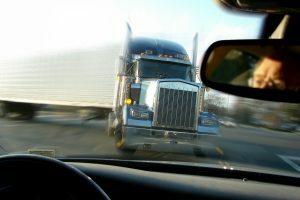 Whether you are a commercial trucker or just a passenger in a car, you may suffer extensive or catastrophic damages as a result of a trucker’s negligence, so you need to have a skilled New Orleans injury attorney on your side to make sure you get all the compensation that the facts say you truly deserve. Read more on truck accident personal injury law. When you or a loved one has been involved in an accident with a commercial truck, it is undoubtedly a stressful time. You should not, however, lose sight of the fact that you and your family may have certain rights and that you’ll may encounter a business entity on the other side seeking to get you to sign away those rights. Commercial trucking and insurance companies have skilled lawyers looking out for their interests. Make sure you have a knowledgeable New Orleans truck accident attorney on your side to help you protect your rights and get the compensation you and your family deserve. Central Louisiana was the site of a recent crash that illustrated just how serious these collisions can be. KALB-TV reported that a large box truck driven by a 30-year-old man was headed westbound on Highway 28 when the driver crossed the center line. The box truck driver was attempting to pass another westbound vehicle on the two-lane road. The box truck slammed head-on into an eastbound pickup truck. The damage was extensive. The pickup truck’s 86-year-old driver died at the scene. The crash also impacted two other cars, with one of those drivers suffering minor injuries, according to KALB. A news story from late May, as reported by the New Orleans Advocate, described a tragic scene arising from a scenario that occurs all too often. Whether due to sleepiness, distractions, controlled substance use, or defective vehicles, too many truck drivers operate under less-than-ideal driving conditions, leading them to do things like failing to notice obviously slowed or stopped traffic ahead of them and crashing into those stopped or nearly stopped vehicles. Because of the sheer force that commercial trucks moving at 55, 65, or 70 mph have, their crash impacts are often massive. The harm inflicted can be life-altering or life-ending. If you have been injured (or a loved one killed) due to the negligence of a truck driver, you may be entitled to compensation from the driver, his employer, or both. It is important to reach out promptly to a knowledgeable New Orleans truck accident attorney to make sure that the proper steps are taken in a timely manner. Sometimes, an auto accident case may involve a driver who was clearly negligent in almost every meaningful way. Perhaps the driver was going 20 mph over the speed limit and ran a red light prior to the accident. In that scenario, establishing negligence might not necessarily be difficult. However, what if an accident occurred after a driver checked his mirrors, used his turn signal, and attempted to make a safe lane change? Even when all of these things are true, that driver may still be negligent, and you may still be entitled to compensation if you were hurt in such an accident. Regardless of the specifics of your auto accident case, make sure that you talk to a skilled Louisiana auto accident attorney promptly to protect your rights and maintain your options. When a 80,000-pound semi-truck comes barreling down the road, it is absolutely vital that their braking system is well taken care of and properly functioning. Unfortunately, that isn’t always the case and a bad braking system can lead to a devastating crash – or even death – for those of us driving in traditionally sized vehicles. In 2015, over 3,800 people died in large truck accidents. This was 22 percent higher than 2009. At the Cardone Law Firm in New Orleans, our truck accident attorney has over 40 years of litigation experience dealing with personal injury and car accident cases involving 18-wheelers. Our team of trustworthy lawyers understands that quickly acquiring evidence and investigating before the negligent party is able to make any changes to the scene is the key to developing a case. It is also worth noting that in cases involving semi-truck accidents and malfunctioning brakes, multiple parties may be held liable for the damage you have suffered. Video footage may seem like standard evidence only in criminal cases, but the truth is that video footage can also help you when an insurance company tries to call foul in your truck accident claim. While dashboard cameras in passenger cars are technically illegal in the state of Louisiana because of windshield obstruction, that doesn’t mean that the potential to protect yourself is limited. There are still a number of viable legal options you may have regarding video footage and your New Orleans attorneys at the Cardone Law Firm can help you uncover exactly what these are.